Posted By Nathan On March 24th 2015. Under Blog Tags: job on twitter, jobs at twitter, jobs twitter . 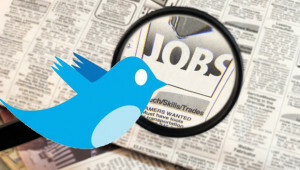 If you’ve never tried to find job on Twitter, it may seem a bit strange at first. This isn’t like normal job hunting. In this case, employers come to job hunters. Your Twitter profile, particularly a professional Twitter profile, is your online resume/point of reference, in effect. Some people call it an “online business card”, but when you have a large amount of material on your profile, there is a major difference in scale. Jobs and job related searches on Twitter are actually becoming a science, but not necessarily the way you’d expect. There is actually now software which helps companies to find employees by sourcing materials through the social media sites, and Twitter is at the top of the list. You can also get the possibility to check on career trends 2015 or best LinkedIn company pages if you want. 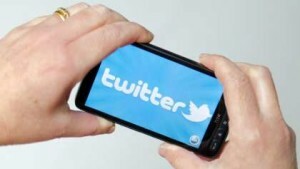 There is another major, and very important, aspect to using Twitter for your job hunting. If you’re a professional, you can create a truly fabulous Twitter profile which is not only good looking, but extremely functional. You can follow a large number of top companies, top brands, and individuals, quite easily. The other good news is that creating a good Twitter profile and organizing your Twitter feeds can be a lot of fun. To give credit where it’s due, and Twitter is an excellent way of keeping in touch with an extremely broad base of useful information. For professional purposes, it is also a very efficient option, particularly when you are following professional peers, colleagues, and market leaders. For pure job hunting purposes, the real advantage of using Twitter is that your Twitter feed is also a real-time monitor and instant communication service. The best companies and the best employers are generally very active on Twitter, and highly responsive. If you need to talk to somebody or need a fast response, you will get one. Please note – In the interests of keeping things simple, you may want to use your Twitter account for both personal and professional purposes. For the personal purposes, there is no real problem, but for professional purposes, cluttering up the account with personal stuff really doesn’t look too good. It’s a good idea to create some degree of separation, either with separate accounts or simply using other sites for personal purposes. Fortunately, it’s pretty easy to do this – You can be John D Smith Accounts @ Twitter professionally, and Jack D Smith at Twitter as a personal private account for your personal social media account, for example. Make sure that the two don’t get confused. It’s also a useful security measure to maintain a distance between accounts and control Twitter account visibility and access as you prefer. 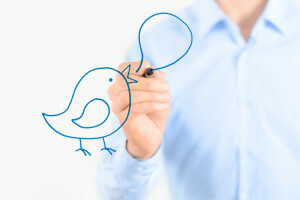 Putting together a Twitter profile is actually pretty easy, in fact it’s quite similar to a LinkedIn or other social media profile in many ways, but you must remember that the Twitter audience is different. People follow and are followed on the basis of their Twitter reputation, and your profile really is a working model of your reputation. People would check out your posts, who you’re following, and similar information. That’s why you need to make sure that your profile is very much professionally based, with no distractions, or other superfluous materials. A really good Twitter account is based on who you follow. You can actually create your own private professional news service simply by taking a bit of time to select the people you want to follow on Twitter. Be realistic about the number of people you can effectively follow – There is no way you are going to be able to follow vast numbers of people. It’s absurd. Worse, it will look absurd. It won’t look professional, and it won’t even look plausible to other professionals. Unless you are actually spending all day every day on Twitter, you will need a very carefully selected group of people and companies to follow. Realistically set a basic benchmark of 50 people and companies to follow. You can add more later if you feel like it, and remove underperforming links if required. Be systematic about who you’re following and quality control your choices – Best practice is to follow top of the line people and companies. Experts, high profile industry people, and specialists also rate highly. One of the best ways of attracting attention on Twitter is to create your own content. This is best professional practice, as a profession you will probably be doing this anyway and you can definitely achieve a much higher circulation of your materials using Twitter. The less obvious part of this process is that this type of information circulation among professionals is what creates working business and professional relationships. Somebody will read your content, and comment or get in touch, or otherwise respond positively to your materials. Potential employers will also pay attention to high value product in their own fields. When creating your own content, please remember – You are dealing with a niche audience within your own field. Using Twitter is basically broadcasting, in this context. Therefore, quality control is an extremely important issue when creating content. If you’re an expert, you need to be writing to your peers or to your audience on an appropriate level of communication. While Twitter is proving itself to be extremely useful in many different an unexpected ways for job hunters, it’s advisable also to remember that this is social media. Building up a good association and networking on social media requires patience, and above all a realistic range of expectations. Be prepared to do the hard work and create the relationships properly. You will find that you will develop some excellent relationships over time. You’ll also find that your Twitter account and professional profile become major assets.